Does your eventon calendar look similar the image below on the front end of your website? Some themes do not like when the page content have a <a> inside <p> html tag so they run a filter that alters this and move the <a> outside of the <p> . And for eventON this makes additional <p> and <a> tags under each eventTop creating multiple blank rows underneath. 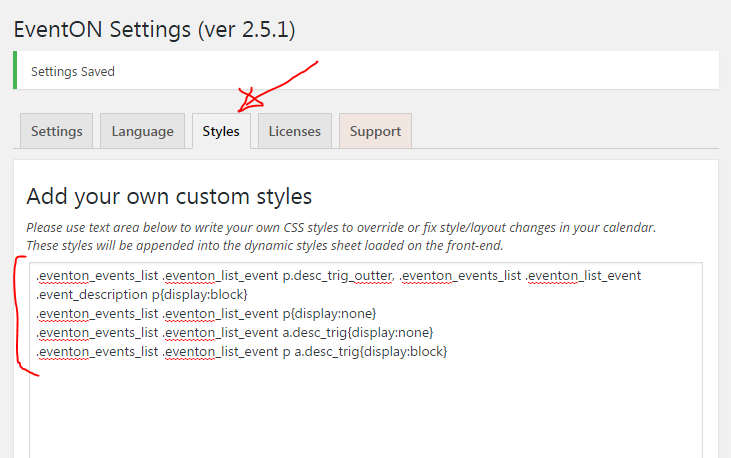 Go to EventON Settings > Styles and copy paste this CSS styles that would properly hide and show correct needed information.